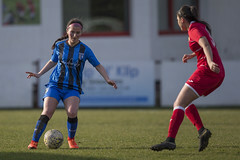 The Gillingham Football Club Girls Regional Talent Club (formerly Centre of Excellence) currently work with over 60 talented female footballers, ranging from Under 10s to Under 16s, within the South East area of the Country and is one of only 34 Regional Talent Clubs in the country. The aim of the RTC is to offer young elite female footballers the opportunity to train in a professional and structured environment whilst playing regular games against other RTCs and local Charter Standard Grass Roots Club. A season training schedule is created to give the players a progressive and challenging range of practices and activities throughout the year. We have been very proud to see recent graduate, Katie Startup progress through the England ranks while with the Centre, culminating in a bronze medal at the recent UEFA Championships. 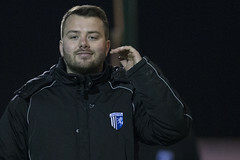 The Gills Academy offers a two year scholarship for girls aged 16 – 19, the scholarship provides the girls an opportunity to train throughout the week with FA qualified coaches at Gillingham FC’s training ground, study towards BTEC Level 3 Extended Diploma in Sport (equivalent of 3 A-Levels) and gain experience in coaching within the GFC Community Trust working in schools and clubs locally.The girls are also able to represent Gillingham FC in fixtures in the South East Counties Division 1 East League with former Gills player and Trinidad and Tobago International, Ian Cox coaching and managing the team. The Community Trust offers FREE girls only soccer school for girls of all abilities aged between 5 and 12 years of age during the various school holidays. These sessions have been well attended and very successful. For details on our upcoming Holiday programme please click here. 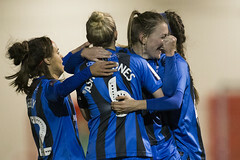 At Gillingham FC we are proud to be one of 55 clubs across the country who run the Football League Trust Female Football Development Programme, where we engage with females aged 14+ to try and get them interested in sport providing fun, fitness based football sessions for a range of women. 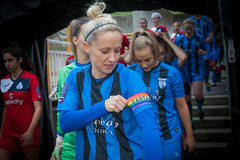 Female participation in Football has increased significantly since 2013 and we have seen over 30,000 women and girls start to play football with over 97% of the women and girls who have been introduced to football continuing to be involved. 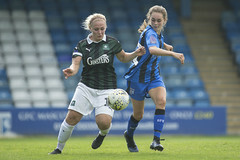 For full details on the Regional Talent Club, Girls Academy, Soccer Schools and FFD programme please contact Community Trust Female Football Development Officer, Georgia Bowie, gbowie@priestfield.com or 01634 350125. To keep up to date please follow the Community Trust @GillsCommunity.